Google admittedly skipped version 9 of its chat app, Hangouts and launched version 10.0 instead for iOS and Android devices, with OS-specific new features aimed at making chats with friends or coworkers even more convenient. While on Android platform, Hangouts now support Marshmallow’s direct share, a feature which auto-suggests contacts when you access the sharing menu on Android. And on Apple's iOS, there are two new key features, as noted in the iTunes changelog lists: Support for universal links for direct access to the app and link sharing to invite others to a call. With support for universal links, you can tap on a link from another app and the developer can configure it to take you right to a conversation on Hangouts. What this means is that Hangouts users can now send a link that invites someone directly to a conversation. Albeit, Google had earlier announced two new messaging/video apps: Allo and Duo, these nifty new features coming to Hangouts is an assurance that it's not going away anytime soon, especially as it is part of the Google Apps for Work suite. 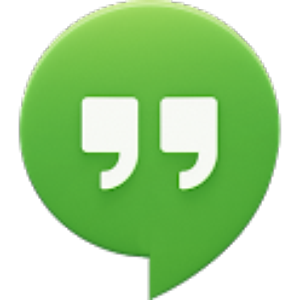 Mobile Apps: What's new in Hangouts 10.0 for iOS and Android?